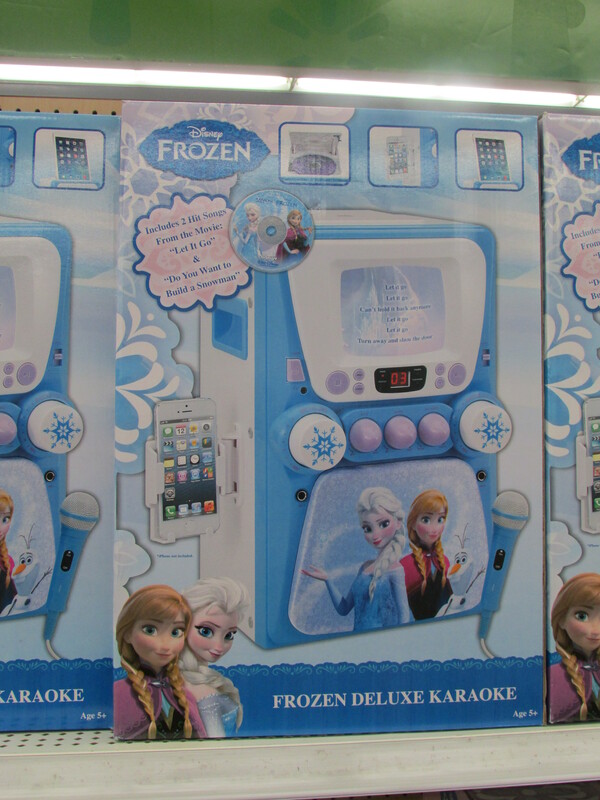 let it go? | is there any more pie? Posted on December 4, 2014	by is there any more pie? I think this is a magic mirror that also sings. If you are over 60 and have a singing magic mirror, what would your songs be? Delbert McLinton’s “I Had A Real Good Time” comes to mind. I might have to think about this all day. Or ask my magic mirror what it wants to sing to me the next time I pluck my eyebrows. Whoa! 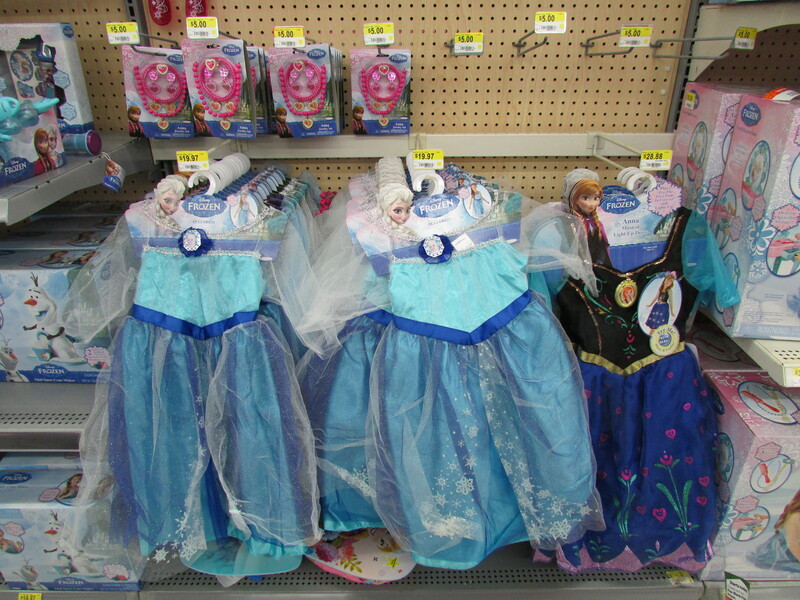 Princess dresses! Love the sparkly stuff!!! 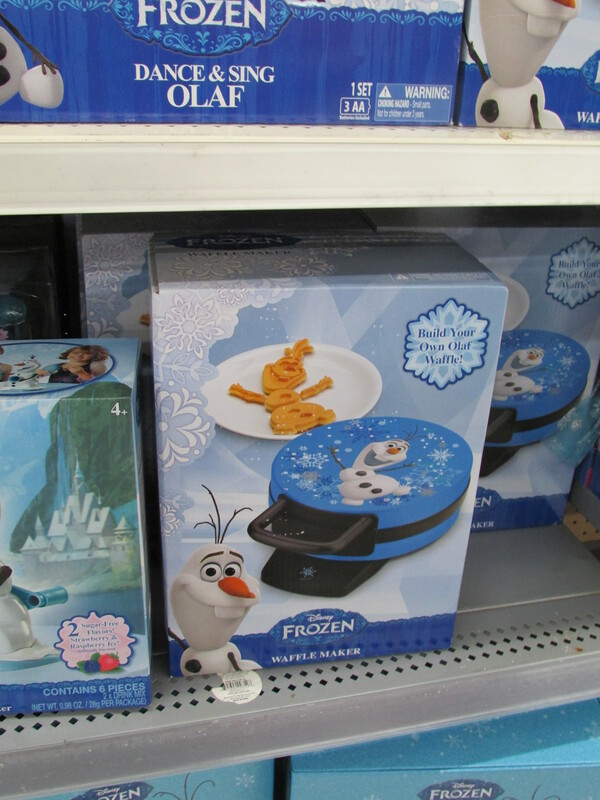 No one paid any attention to me when I whipped my camera out of my purse and photographed the Frozen toys. There was a microphone that played The Song, so you could sing along. I thought that was cute. There were books and stickers and towels and bedspreads and dolls and bubble blowers. There are no little girls in my family, which you probably figured out by now. So I am Frozen Ignorant. I felt a lot more comfortable in the aisle with the Tonka trucks. They make a lot of noise when you push the buttons, but no one sings. 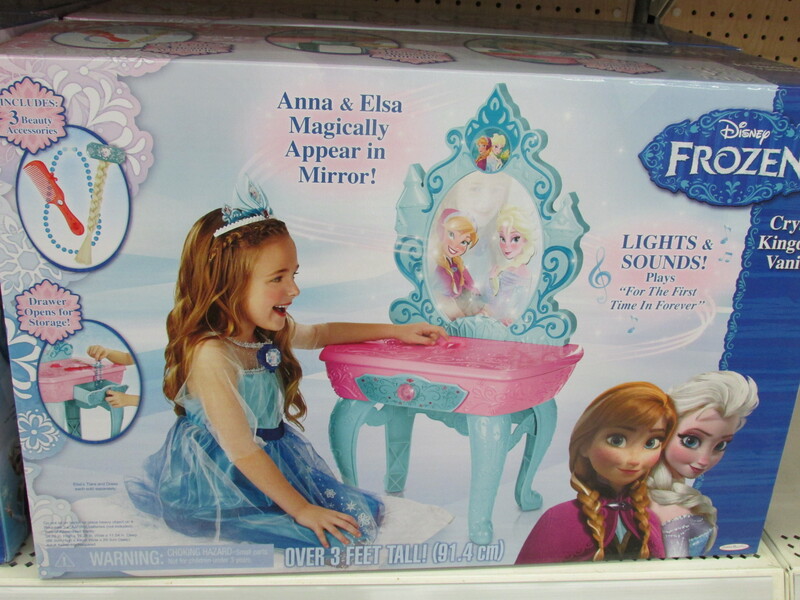 This entry was posted in a more pie opinion, grandmother stuff, rhode island and tagged Frozen toys. Bookmark the permalink. 3 Responses to let it go? Kristine, I am with you I just don’t understand all this bit about frozen I don’t know anything about it, heard the song a couple times and I guess I’m just going into the boy world. Boy World has a lot of really cool trucks! I hadn’t heard the song either, but the movie is now Ben’s favorite. Boys are not exempt.